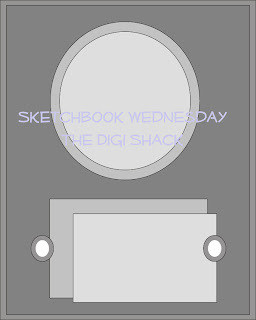 It's the last Wednesday of the month and this will finish out the Sketch Challenge Wednesday for The Digi Shack. Keep a watch for some fun new things on the horizon!! In the meantime, try out the latest sketch challenge Toni has given us! So adorable! Love the purple!! BEAUTIFUL! I GOTTA USE PURPLE MORE OFTEN! LOVE IT!! So sweet, Christina! 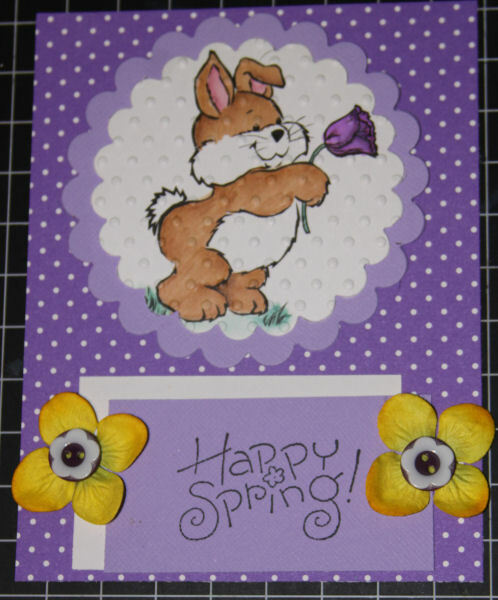 Love how you embossed Mr. Bunny! Love your bunny card and the colors are so pretty!! I just love this challenge and you did an awesome job!! wow. I am gunna sound redundant, but I love the bunny!!! :) Awesome color choice too!! so very pretty! Yey for Spring! Don't ya just love 3D???? Digi Day at SNR Card Universe!!! I am a daughter, sister, wife, mother and friend. Proud to be each. I enjoy everything 'artsy'. My favorites would be painting, drawing and stamping. Making cards is a passion. My family and friends are my life.